This was a very personal project and not a standard narration, with character voices as they sound in my head and a reading that ignores my own punctuation... For me, it was an exciting way to record the story, but the result is definitely a 'Marmite' audiobook - you'll either love it or hate it! Many listeners have commented, with mixed reviews on Audible.com. Here are some positive ones! You'll find several ﻿audio extracts on this page﻿ - just scroll down! I tried hard to create believable character voices to reflect how I heard them in my head while writing. 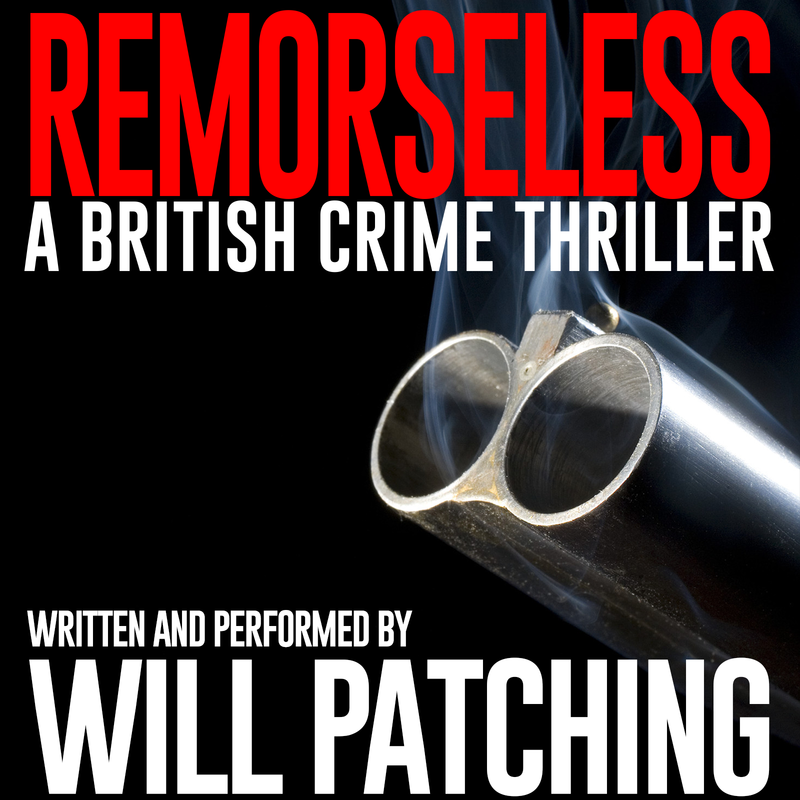 The full audiobook is over 13 hours long as this is a full length, unabridged version of the novel so it was quite a task: the full recording involved many 'takes' and a lot of editing (over 300 man hours in total) to create the final version ready for commercial release. And many more minor characters besides! If that lot intrigues you then feast your ears! Be warned though: the story is quite dark/disturbing according to some. I will also admit, rather more disturbingly, that I particularly enjoyed being the sinister psychopath while recording this! Be afraid... Very afraid! I find the short clips provided by Audible and other retailers (1 to 5 minutes) insufficient to make up my mind whether to buy so I have provided these additional excerpts to help you decide! You can also randomly fast forward through the Soundcloud track and dip in and out, rather like I do when I check out a paperback in a real world bookstore! During the narration I decided to try and create character voices that reflect how they sounded to me as I wrote the novel... This approach won't suit some listeners who prefer a 'straight' narration. There is no music and there are no sound effects either, other than for phone calls, so it is not a 'radio play' as such. I had to create separate character voices and use these effects as I don't add many dialogue tags during writing (he said, she said etc). To prepare myself for this I had to have three live dry runs, reading the entire novel aloud, to cement the voices in my mind as best I could with the aim of being consistent across the full 13 hours of narration. The entire narration took over 300 man hours from me as narrator and editor, plus the time spent mastering by my talented friend and professional audio engineer Jon Lindley (if you like great music and want to sample his work, or if you need a cool sound engineer to add some polish to your own audio, then please check out Jon's Soundcloud page here). I hope you enjoy the result! By all means contact me to let me know what you think - I love to hear from my readers - and of course, my listeners too now! This first clip is the commercial 'ad' for potential buyers on iTunes etc and also appears on the Home Page of this site. You'll find several more short 'character clips' below, then the first 40 or so pages of narration at the bottom of this page. The first forty pages, courtesy of Soundcloud, so you can listen at your leisure without having to download anything until you are sure you want to. I look forward to hearing from you!